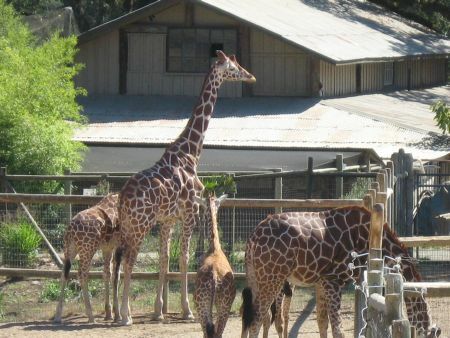 The cheetahs are called Safari West’s ambassadors, but the park is most famous for its giraffes. There was even a documentary made (it showed on Animal Planet, I think) about the birth of Kalula. Danny said the giraffes are reticulated giraffes. He called Kalula a Rheingold, I think—something of a hybrid. 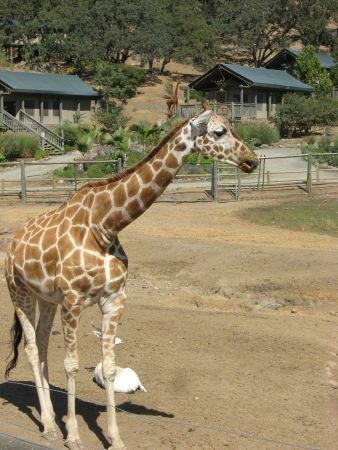 Her color is more of a gold color, and her markings aren’t as crisp and distinctive as some of the other giraffes. She’s a drooler. This is not a trait connected with a particular variety. “That’s all Kalula,” Danny said. Danny supports the new theory about why the animals developed those long ungainly necks. The old theory was that it evolved so they could eat leaves, but where they live, there is plenty of grass—leaf-eating wasn’t a survival function. Why, then? Male giraffes fight each other for mates by whaling on each other with their bone-plated heads. 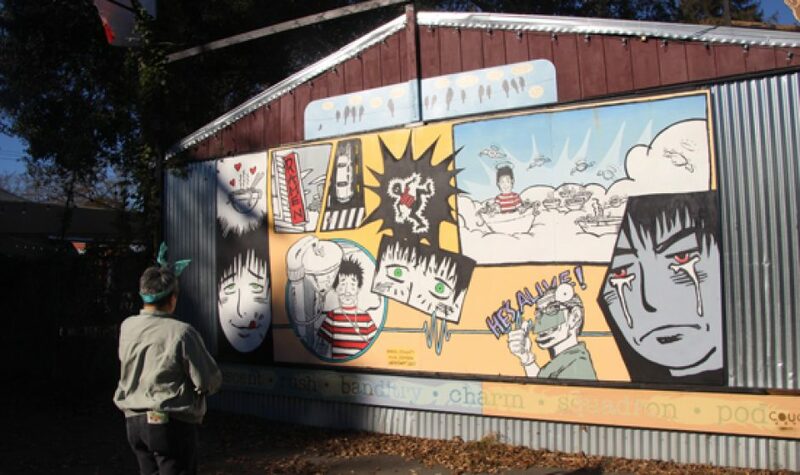 They attack heads and torsos. An adult male can knock another male over by hitting him in the side with his head. Therefore the new “DNA” theory is that the long necks evolved for that reason. The DNA theory is very popular these days. The idea is that survival is on the DNA level—fathering and giving birth to offspring, passing on the genes—rather than the level of an individual animal or a family group. It’s an interesting idea and it’s informing most of the scientific discussion of mutations at this point. 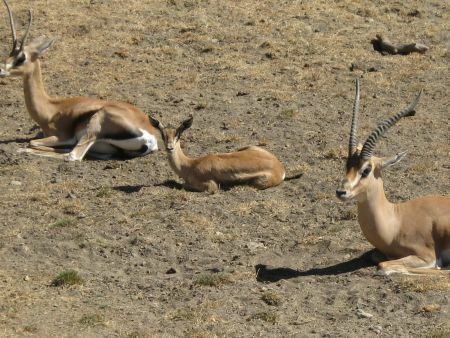 Many antelope and gazelles share this corral as well as some of the larger birds. 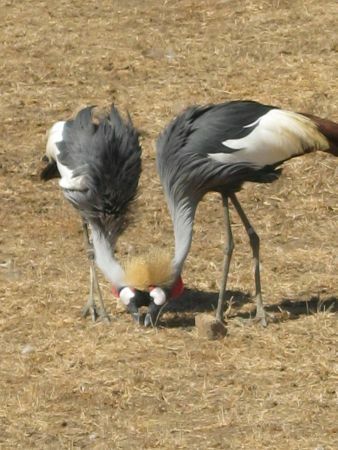 The park has a large flock of crowned cranes, the national bird of Uganda. They may be shades of gray, but they are gorgeous shades of gray. This entry was posted in View from the Road and tagged Crowned Cranes, DNA, Gazelle, Giraffes, Mutations, Safari West. Bookmark the permalink.